Justice Binta Nyako of the Abuja Federal High Court, today being 25th June 2018 has granted bail to Benjamin Mmadubugwu and his co-defendants with the sum of Ten Million Naira. The bail, just like that of the leader of IPOB, Mazi Nnamdi Kanu was attached with stringent conditions which includes, no oyoyo welcome, no interviews no rallies, no greetings. 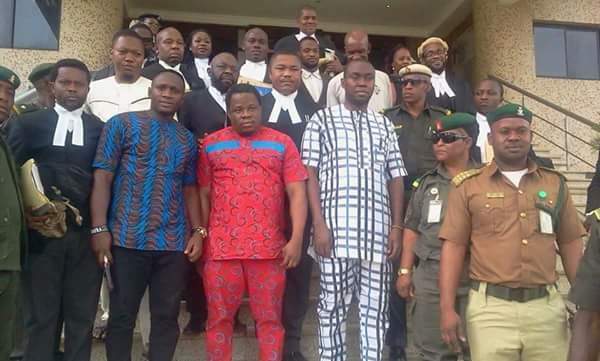 Benjamin Madubugwu and three others standing trial since their arrest in October 2015 alongside its leader Mazi Nnamdi Kanu who was granted bail last summer by the same court.